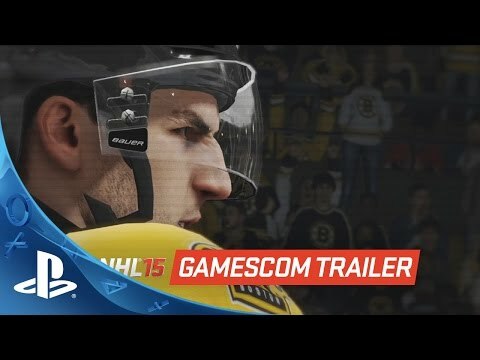 NHL 15 is the start of a new generation of hockey video games, where the sights, sounds and feel of the fastest team sport on the planet come to life in a way you’ve never experience before. NHL 15 changes everything. Built to harness the power of the next generation console - NHL 15 brings hockey to life the sights, sounds and feel of real NHL action like never before. Every player is affected by real-world physics leading to multiplayer collisions and pileups through 12 Player NHL ® Collision Physics. NHL 15 welcomes Mike ‘Doc’ Emrick, Eddie Olczyk and TSN analyst Ray Ferraro providing insight through revolutionary real life visuals all presented in an authentic NBC Sports Broadcast Package. This is the next generation of Hockey. For the first time in any sports game, every player is affected by real world physics leading to multiplayer collisions and pileups through 12 Player NHL ® Collision Physics. Revolutionary Real Puck Physics means the puck has been remodeled and rendered to behave like an actual hockey puck, leading to unpredictable and authentic reactions. The Next Generation Hockey Player has been rebuilt from the ice up using Authentic Player & Equipment Models which has three distinct layers - the body, equipment, and jersey. Each layer interacts independently, making every contact with the puck or other players even more realistic. Combined with Unprecedented Player Likeness NHL 15 delivers groundbreaking player likeness, emotion and animation. Witness the sights and sounds of 30 unique arenas across the National Hockey League, as 9,000 individual crowd models - the most ever in a sports videogame - hang on every play called by an all-new three man commentary team. In addition, a new partnership with NBC Sports™ brings, a world class broadcast package to the game.